COME FOR THE BREAD. STAY FOR THE BREAKFAST. Bread is at the heart of it all. 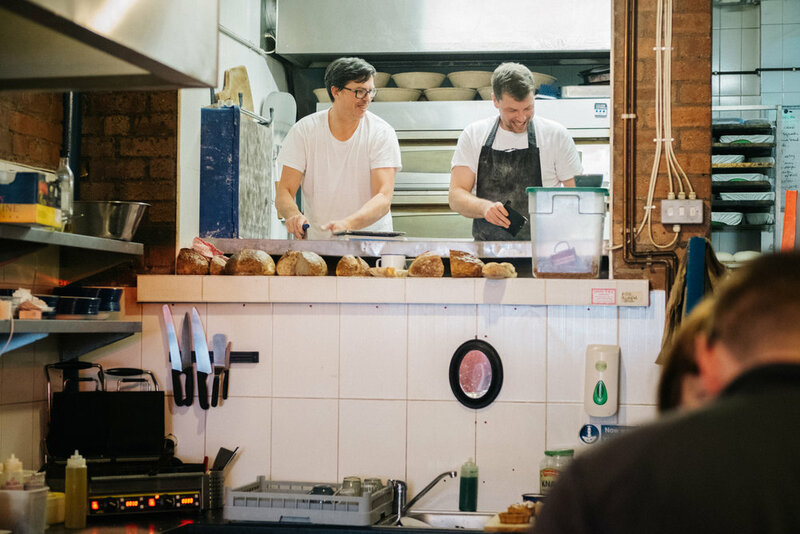 Whether you're calling for a just-baked sourdough, stopping off for a bacon butty en route to work, or catching up with friends over lunch, Baltic Bakehouse is a place to pause, and to focus on the little things that matter. And it doesn't get more important than a decent daily loaf. So come on in, grab a coffee, or pick up a Baltic Wild. Take your time to rediscover the joy of simply great bread. Our bread sells like hot cakes. And our cakes, doughnuts and pastries fly out just as fast. Don't be disappointed. Order online and we'll keep them for you - at either of our locations for you to pick up.